Salad is truly a great option in a healthy diet. They are easy to make, you can have a decent variety of things within a salad, and they work well for lunch or dinner. It is no surprise that many people when trying to eat healthy to shape up and slim down gravitate towards a nice salad. But, are you making the best salad that you can? Surprisingly some people are not getting the maximum benefit from their leafy lunch or dark green dinner. A few unhealthy habits have been developed by some that end up sabotaging their overall efforts. Well it is time to fix that problem with these Healthy Salad Tips! Salad Dressing – Oil based dressings are the proverbial king of all dressings. You need a little bit of fat in the salad to assist with vitamins and minerals being absorbed into the body. The best place to get it is from your salad dressing. Canola and olive oil dressings are the best of the bunch and if you add a little vinegar to the mix it helps ease fluctuation of post meal glucose. Cheese Please – Cheese is a great source of calcium. The low fat version is best. A little bit of fat (as noted above) is useful and also helps curb cravings for fat. Variety – You need to use a lot of different types of green in your salad. Don’t just stick to one type of style. All types of leafy green have something to offer so mix it up with spinach, iceberg lettuce, romaine, and more! You should consider adding leafy herbs as well for flavor and antioxidants. Basil, thyme, parsley, chicory, alfalfa, and borage are all great additions. Other Veggies – You can easily add so much more to a salad other than leafy greens. 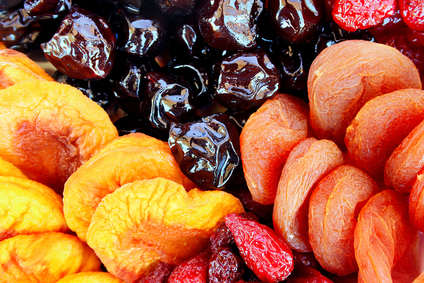 Depending on the season there are a bunch of fruits and veggies that add vitamins, minerals, and fiber to your diet. My favorite additions are carrots, cucumbers, squash, radishes, tomatoes, peas, peppers, strawberries, pears, raspberries, blueberries, and celery. Add Protein – Lean protein is must in the salad diet. A lot of people use grilled chicken because it is easy to toss in. Sliced lunchmeat, fish, and tofu are also great additions. Get Nutty – Don’t discount how much nuts and seeds can add to a salad! They can provide flavor, protein, good fats, and more! Almonds top the list of good nuts but you should also try pecans, hazelnuts, walnuts, pine nuts, cashews, pumpkin seeds, sesame seeds, and sunflower seeds. Skip the Crunchies – By that I mean croutons and other salad additions like bacon bits or wonton crisps are a waste of calories. You are just adding empty calories to an otherwise great meal. For more flavors add spices and herbs. If you want more carbohydrates then add a nice complex whole grain side to the meal. But skip the wasteful calorie additions.